Oman is the world’s oldest independent Arab state, so there’s a lot of heritage to explore. In addition to history, Oman also has a range of marine wonders for budding divers to experience. 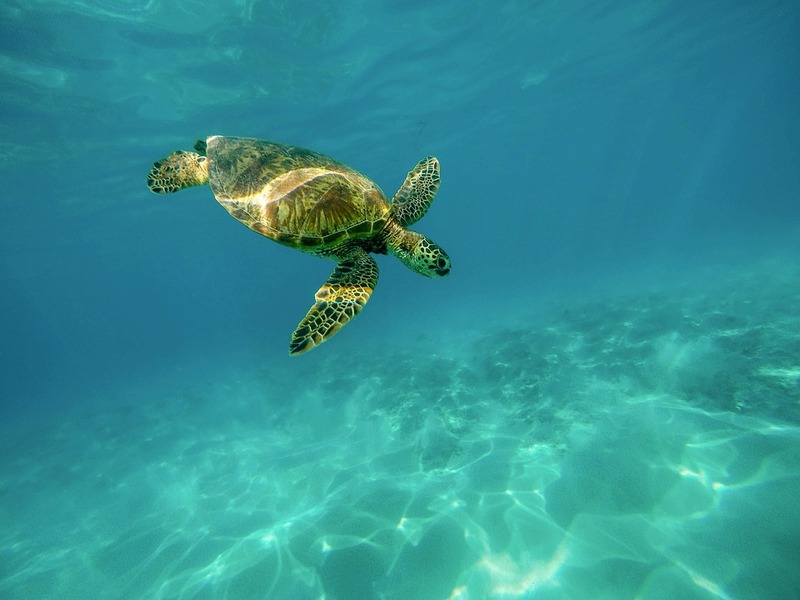 If you’re a fan of turtles then this is definitely the first dive-site you should consider. These are a selection of very rocky islands situated at the north end of Muscat, and are a notable nesting site for turtles. There are also lush coral reefs with plenty of captivating marine-life to explore. There’s a series of remarkable dive-sites located here, and is one of the best places to explore shipwrecks. Al Munassir is a three-hundred foot vessel that was sunk by the government to serve as an artificial reef, and is definitely a noteworthy attraction to explore. The secluded capital of southern Oman is one of the most beautiful places in the country, and therefore you won’t be surprised to discover many a beach resort in Salalah. Pretty much all of these resorts, such as Al Baleed Resort Salalah by Anantara would offer diving related experiences. The small bay of Mirbat is probably the best dive-site Salalah has to offer. This is one of the most enigmatic dive-sites since the ocean has eroded the rocky landscape to form a network of caves that are now inhabited by schools of various kinds of fish. Oman is a country that has a diverse selection of landscapes, but one thing there’s hardly any shortage of are mountains. This land is filled with many breath-taking formations where you can unleash your rock-climbing spirit, There are even a few attractions and establishments where you can casually gain some info and experience before tackling the unforgiving terrain. Many would say the finest mountain in Oman is Jabal Akhdar whose highest point is just under ten thousand feet high. The breath-taking mountain is one of the top attractions in Oman and even features a luxury resort named the Anantara Al Jabal Al Akhdar Resort. A great place to casually start off your rock climbing adventure would be The Wall. It’s the nation’s one and only rock-climbing gym, and its housed completely indoors. It’s one place where all the rock climbers gather so you could obtain tips on the best routes, purchase all the relevant gear, and hone your skills on their various courses. For an incredibly unique experience, head to Bandar Al Jissah, also known as Qantab. This place has some fantastic rock formations that are situated right next to beach, requiring you to start climbing out of the water. Most climbers dive into the water one they have reached the top. Avoid climbing from the areas facing the open sea since there are large swarms of hornets. The enigmatic Khubrah Canyon is considered by many avid climbers to be the quintessential experience. It is has a welcome sense of isolation as well since it is about a hundred and fifty kilometres away from the city. The name of this area roughly translates into ‘secret canyon’, and contains bountiful rock, clear blue skies, and a variety of trails to cater to novices and experts alike. If you’re a rock-climber at heart, you should definitely consider taking a trip to Oman. Known as the ‘Ships of the Desert’, camels have for long been part and parcel of a traditional way of life in Oman. Bedouin life in the desert is in fact very much dependant on camels who offer a means of transporting people and goods as well as being used for traditional celebrations and festivals too. The best place to see camels is undoubtedly in the desert itself and if you stay at an Oman desert hotel such as you have the chance to take part in a sunset safari on camel-back which is a fascinating way to get up close with these curious looking creatures. However, there is another aspect of local culture this animal is a part of and well worth experiencing when in Oman; camel racing! Very much like horse racing and taken just as seriously, camel racing is a popular sport with owners raising thoroughbreds in order to compete in the races. The season for camel racing in Oman is generally from September all the way to March, with weekends being when these events are held. Races are known to start as early as 6 am and run up to 9 am so look to set aside some time in the morning if you want to catch the action. Check the local papers beforehand for venues and dates of the planned races. Any preconceived notion you may have that these are slow creatures, will soon be changed whet at the event as camels are known to reach speeds of around 64 kms on these special racetracks. Many of the races are organised by the Omani Camel Racing Federation (OCRF) who work in partnership with the Royal Camels Corps. Al Batinah, Al Dhahirah, Dhofar and Al Sharqiyah are among the governorates where camel races are held each year, while the Al Abiadh racetrack which can be found near the Sinaw-Mahawt road sees some of the best racing action. Camel racing is a popular and fervently followed sport in many countries, particularly in the Middle East. This is the case in Oman, where thoroughbred camels are carefully bred, earning them a reputation for their racing prowess. For centuries camels have been prized in the Middle East, for their ability as a beast of burden in the deserts, and for their milk and meat. Camels have also played a key role in various festivals, celebrations and special events. Similarly camel racing has existed for countless years in the region, and even today has an enthusiastic following. There is no doubt that camel racing is a genuine Arab sport, as acclaimed as horse racing amongst its aficionados. Today camel racing has developed into a professional, highly competitive arena with specialized race tracks, farms which are devoted to the raising of champion racers and conducting intensive preparation regimens, as well as the most advanced technologies. Omani thoroughbreds have acquired a strong repute for their abilities and quality. Many of the local breeders earn extraordinary prices for their best racers from enthusiasts across the Middle East. Many of these camels win lucrative prizes for their owners, including cars and cash bonanzas. The breeding of race camels has evolved into a fine art. When the young camels are around two years of age the training commences. The first objective is for the animals to respond to the commands provided by its jockey. They are then put through an initial gallop that indicates which of the camels are suitable for the demands of the racing arena. To develop stamina the young thoroughbreds are put through training runs, as suitable for their age. The camels are provided with a special fibre-concentrated diet of quality dates, honey, wheat, cow’s milk, ghee and fresh alfalfa grass. They are shampooed and scrubbed, their slightest bruises cared for and cosseted at night with sheets and blankets. 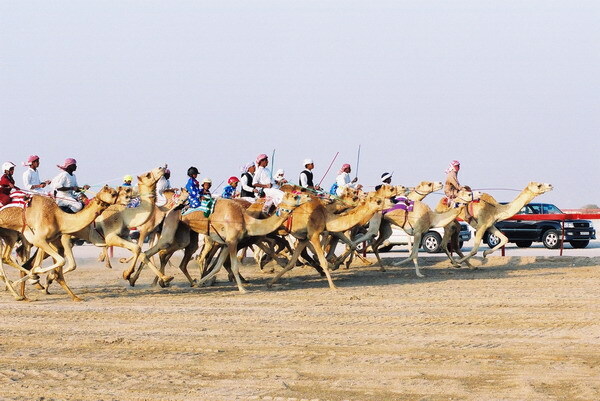 Camel racing is always a thrilling spectacle and visitors to Oman will find numerous exciting contests on the calendar. Travellers to Oman desiring a quality Oman hotel will find an excellent choice in Al Wadi Hotel Sohar. One of the convenient Oman hotels this fine rest offers modern amenities and gracious hospitality.